The computer is an electronic device which accepts the input and processes them to give desired output. There are various types of computer available in the market. We can classify the computer as special purpose computers and general purpose computers. Special purpose computers are applicable for special area and have limited area for application of temperature recording, speed measurement, telephone billing etc, but general purpose computers are the standard computers used for general application like word processing, spreadsheet, database application, internet access, program development etc. The computer that works with natural phenomena and physical values like earthquake measurement, speed of wind, weight light etc is known as Analog computers. It is especially used in scientific work, medical and industrial field. These are special purpose computers. It measures physical values such as temperature or pressure that fall along a continuous scale in temperature or pressure. For example, you can see a system at petrol pump that contains an analog processor and analog device that converts the flow of petrol into quantity. Speedometer in cars and your watch are other examples of an analog computer. It is specific to the particular task so we cannot use it for multiple applications. It works on continuous data and gives continuous output. It works in real time and has no storage capacity. 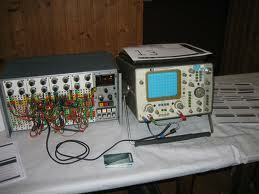 It gives output in the form of the graph, signals, table etc. Digital computer which are used to perform specific task is known as specific purpose digital computer. It only perform specific task. Digital computer which are used to perform general task is known as general purpose computer. It is used to perform various tasks. It works on the discontinuous or discrete data. It is applicable for a general purpose so this is very versatile for an application. It is based on the digits 0 and 1. It has storage section also. It is highly accurate and reliable than an analog system. It is the combination of analog and digital computer system. It works with continuous and discrete value. The good qualities of analog and digital computers are combined on this computer and made as the hybrid computer. These are used in ICU (Intensive Care Unit) of hospitals, jet planes, and other data analysis terminals. The hybrid computer transfers the data from analog to digital and digital to analog and vice-versa. It is designed for the special purpose so it is not versatile. It works on discrete and continuous data. It is complex than another computer system. The computer is an electronic device which accepts the input and processes them to give desired output. There are three types of the computer on the basis of work. They are analog, digital, and hybrid computer. Digital computer does not measure the continuous data for continuous output. The hybrid computer is the combination of analog and digital computer system. The computer that work with natural phenomena and physical values like earthquake measurement, speed of wind, weight light etc is known as Analog computers. What are the broad classifications of the computer on the basis of work (function/activity)? Analog computer: Analog computer is special purpose computers which are designed to measure the continuous physical values such as speed, pressure, etc. Digital computer: Digital computers are general purpose computers which work on binary digits by accepting discontinuous data. E.g. personal computer. Hybrid computer: The computers which perform the task of both analog and digital computer are known as Hybrid computer. They are known as special purpose computers. E.g. ECG machine. Differentiate between analog and digital computers. 2.They are special purpose computers 2. They are general purpose computers. computers. 3. They are cheaper than analog computers. 4. They produce Analog signals. Eg. Seismograph etc. 4. They produce digital signals. Eg. Write any three features of the analog computer. It works on real time and has no storage capacity. Write short notes on the hybrid computer. Hybrid computer is the combination of analog and digital computer system. It works with continuous and discrete value. The good qualities of analog and digital computers are combined on this computer and made as the hybrid computer. 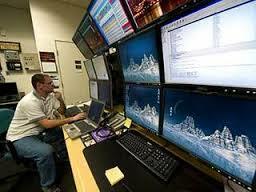 These are used in ICU (Intensive Care Unit) of hospitals, jet planes, and other data analysis terminals. The hybrid computer transfers the data from analog to digital and digital to analog and vice-versa. List some features of the digital computer. It is applicable for the general purpose so this is very versatile for an application. The computer that work with natural phenomena and physical values like earthquake measurement, speed of wind, weight, light, etc. is called _______. Which one of the computer is based on the digits 0 and 1? Which one of them works on discrete and continuous value? one which measures continuous types of physical values such as temperature or pressure. which use parallel processing technology. which can parallel processing technology. which posses high processing speed. The computer which accepts discrete data. having features of both analog and digital computer. Any Questions on 'Classification of Computer On the Basis of Work '?